We have had a fantastic first week in Nursery. The children have settled in really well. There have been a few tears, but these ended quickly and the children have been exploring nursery. 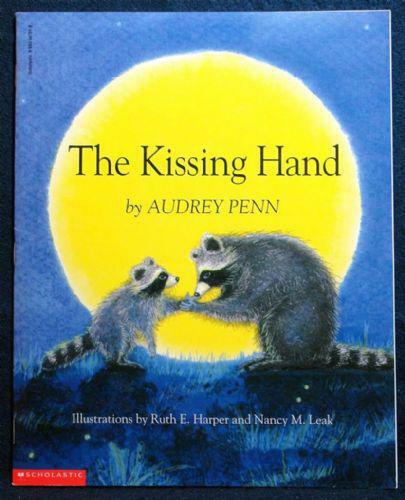 Our key learning intention of the week has been 'to express their own feelings' We have read the story "The Kissing Hand" by Audrey Penn. In the story Chester Racoon is starting school for the first time, we explored how Chester & his mum felt and then discussed how we were feeling this week. We have also counted kisses to practice our numbers and counting as well as comparing the size and number of those kisses. We iced biscuits to support our fine motor skills, and to draw simple shapes and lines. Maddox: "My first week has been nice." Libby: "It's not bad in nursery." Jacob: "My first week in nursery has been ok, I am happy." Isabel: "I feel good being here." Ewan: "I'm happy to come to nursery." Ethan: "I'm not sad, I'm happy." Mrs Maslen is delighted with how the children have settled in. She is so proud of everyone, you have all shown her that you will be super learners. Have a look at the photographs below, the children are icing their heart shaped biscuits.